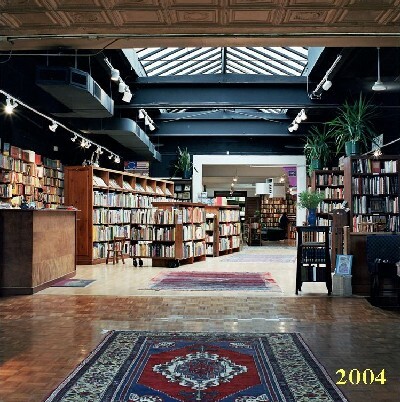 Loganberry Books was established in November 1994 by Harriett Logan. We are an independently owned and operated bookstore featuring carefully selected new, used and rare books. Some of the strengths of our collection include children’s and illustrated books, women’s history and literature, leatherbound and modern first editions, and fine and performing arts. Our browsable store contains well over 100,000 volumes for both readers and collectors. The shop is located on Larchmere Boulevard on the border of Shaker Heights and Cleveland Ohio alongside many great antique shops and art galleries (directions & map). We're just a block north of Shaker Square. Originally sharing space with Dede Moore Oriental Rugs, Loganberry has undergone several growth spurts. 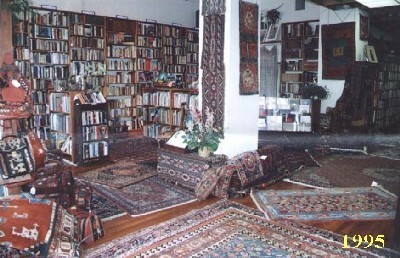 In 1997, we annexed the adjacent storefront, and in September 2003, we left the rugs behind and moved into our own building down the street, thereby tripling our space and available inventory. See photos! So, what’s with the name Loganberry? It's owner Harriett Logan's old collegiate nickname. Harriett's mother is also involved with the business as a book scout and buyer, thus the family name seemed appropriate. It's also the source for the "corporate color:" purple. The website started early in terms of internet commerce. We had our own website back in 1995, but with a limited database to post, we started posting customer comments on a page titled I Remember That Book. This quickly grew to include customer queries the small store staff couldn't answer on a page called Stump the Bookseller. The success of this service far exceeded expectations, especially after publicity from National Public Radio and The New York Times. Strong Bindery, a specialized service for restoring and repairing old books, joined us at the new location in 2003. Adjoining the two spaces is a clerestory garage that has been converted into the Annex Gallery, which features a monthly rotation of local artists. Closed on New Year's Day, Easter, Memorial Day, 4th of July, Labor Day, Thanksgiving, and Christmas. Hours for Christmas Eve and New Year's Eve 10am-4pm. Just one block north of Shaker Square. Map & directions. Store opened in November 1994 at 12633 Larchmere Boulevard. 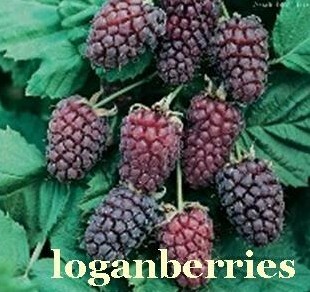 Website began as www.logan.com/loganberry in 1995. Moved to 13015 Larchmere Boulevard in August 2003. Some randomly selected reviews are reprinted here.